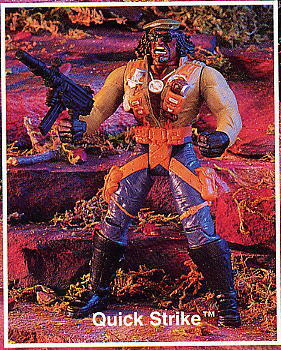 Quick Stryke : Declassified- BLOOD FOR THE BARON!!! 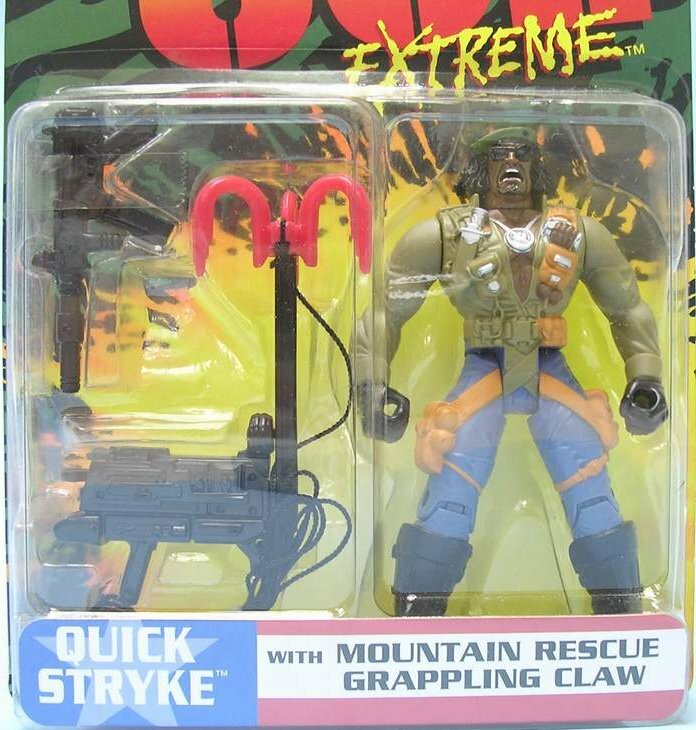 Quick Stryke was the G.I. 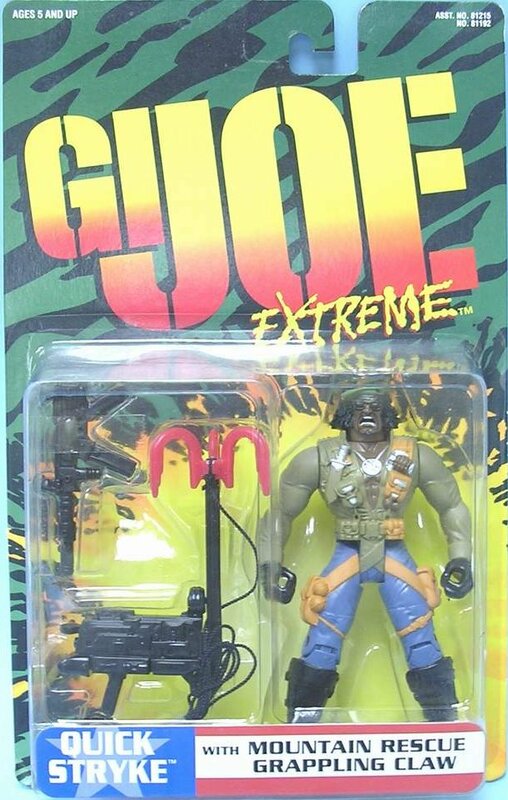 JOE Extremes team resident former bad guy team member. He and his brother had joined S.K.A.R. in the early days of the organization. When his brother Jonathan volunteered to be used as a test subject to become the ultimate soldier, Quick Stryke tried to talk him out of it. Quick Stryke blames Iron Claw for Jonathans death and thus hates Iron Claw, for experimenting on his brother and causing him to go Crazy and die. 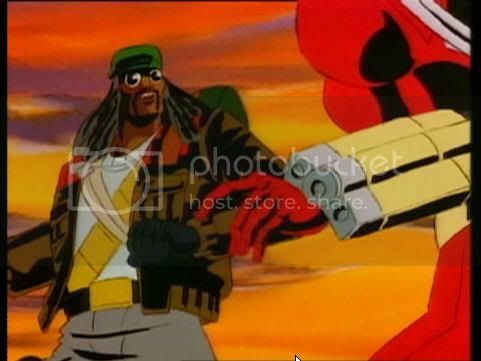 Since that day he has dedicated himself to bringing down Iron Claw and SKAR. 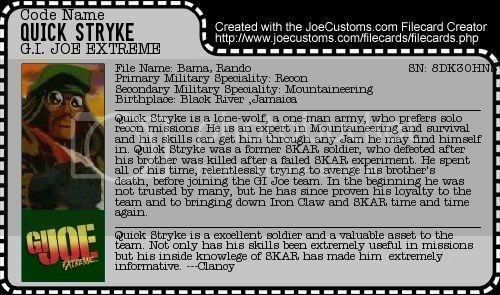 Quick stryke had been fighting a solo / private war against Iron Klaw and Skar before joining the GI JOE TEAM. Lt. Stone and Sgt. Savage respects Quick Strykes ability but it took them a while to actually trust him fully. 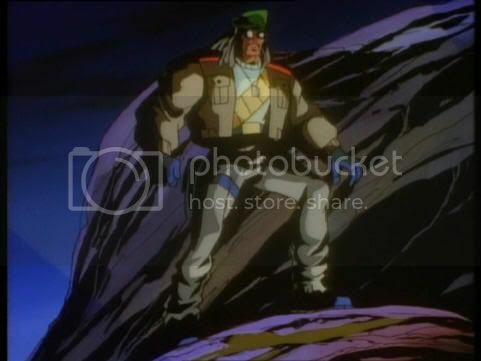 After Quick Stryke led a successful mission that had him face Iron Claw and choose between SKAR and GI JOE (which Lt. Stone observed), he has become fully trusted by the GI JOE team. 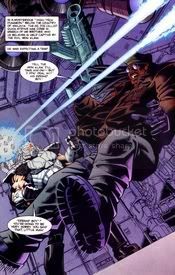 His need to avenge Jonathans Death and to prevent more people dieing like his brother , is his source of inspiration and motivation . 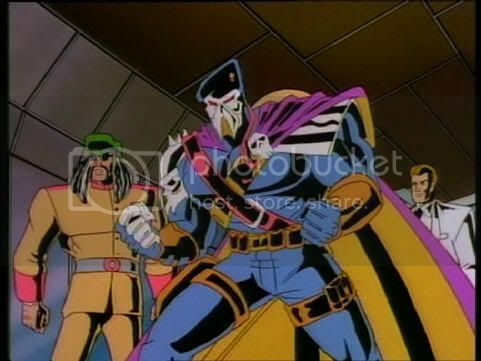 When Iron Claw was thought to have been killed after the Joe team learned of his Secret Identity as Count Von Rani, Quick Stryke thought his reason and purpose in Life was finally realized. Unfortunely for the world Iron Claw survived and Quick Strykes need to avenge his brother with the fall of SKAR and IRON CLAW has been renewed. 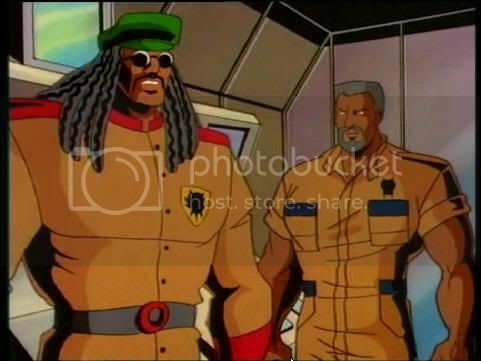 Interesting Notes: Blu Mankuma ( who did the voice for Heavy duty in Spy troops and Valor vs Venom ) did the voice for him and Freight in the TV show.